Rejoice in the Lord, you righteous; it is good for the just to sing praises. Praise the Lord with the harp; play to him upon the psaltery and lyre. Sing for him a new song; sound a fanfare with all your skill upon the trumpet. In the middle of Advent, there is an intentional turn towards Bethlehem and the baby Jesus. The first two weeks keep our attention on Christ, the King — Christ, the Word of God made flesh. It is important for the Church to ponder what it means that God became human, to keep Christmas and the nativity of our Lord in perspective. Today, our psalm reminds us of the power and the blessing that is the Word of God. It is surprising how Christians in the last 50 years or so have so clearly moved away from commitment to the truth and authority of God’s Word. Even Lutherans, who should stand with Martin Luther on the text of the Bible with our consciences captive to the Word of God, no longer hear and heed the Bible as the norm for all faith and life. It is easy to point the finger at others, but the reality is that Lutherans (and Christians) are largely ignorant of the Scriptures these days, are not in the habit of reading and meditating deeply upon the Word and are not passing on biblical truth and knowledge to children and youth in home or in church. As we observe the 500th anniversary of the Reformation in 2017, we are reminded that the Church is always in need of reform! The Church of Jesus Christ needs to be renewed and re-formed in the Word of God as much now as in Luther’s time. And as the Gospel is the power of God for salvation, it is also the power of God for reform and renewal. 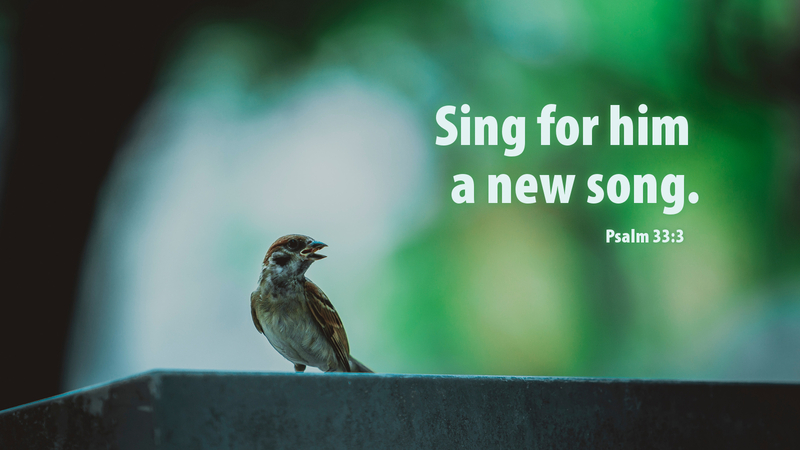 Isn’t that why the Church is to always be singing for God a “new song?” The song we sing is “new” because the Body of Christ, and we as disciples of Jesus, are being continually renewed and re-formed through the Word, which is right and true. Prayer: Lord Jesus, Word of God incarnate, come to us, dwell in us, renew us! Amen.